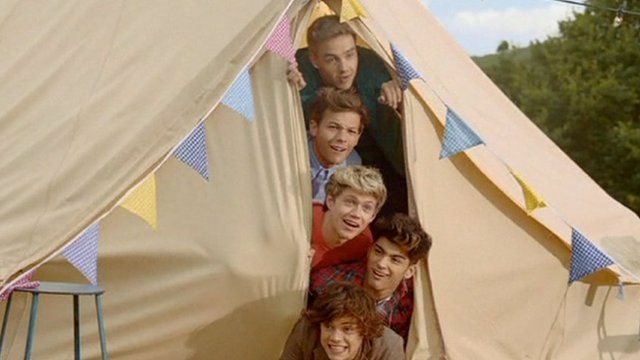 One Direction on new single Jump to media player One Direction talk about the message of their new single Live While We're Young which is to "have fun and enjoy yourself". 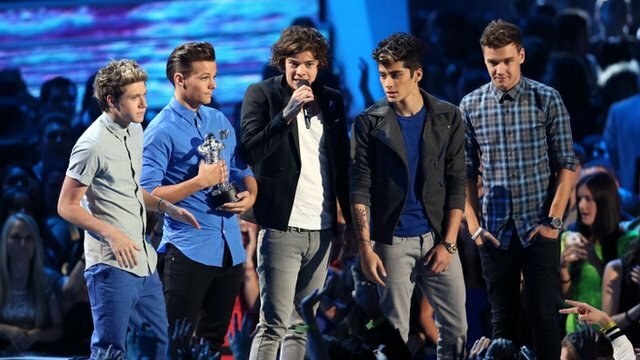 One Direction's big night in LA Jump to media player One Direction have won three MTV Video Music Awards in Los Angeles. One Direction members Niall Horan, Harry Styles, Louis Tomlinson, Zayn Malik and Liam Payne say the message behind their new single is to "have fun, and enjoy yourself". Live While We're Young is the first track off their second album Take Me Home. The band were asked what they make of speculation the opening riff resembles The Clash track Should I Stay Or Should I Go. They replied that they were used to comparisons after their first single, What Makes You Beautiful, was likened to Summer Nights from the film Grease.